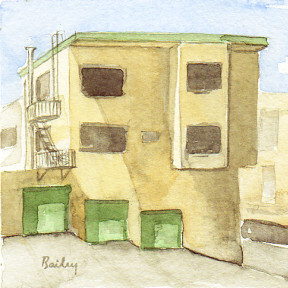 I painted a corner apartment building one block south of Haight-Ashbury today. 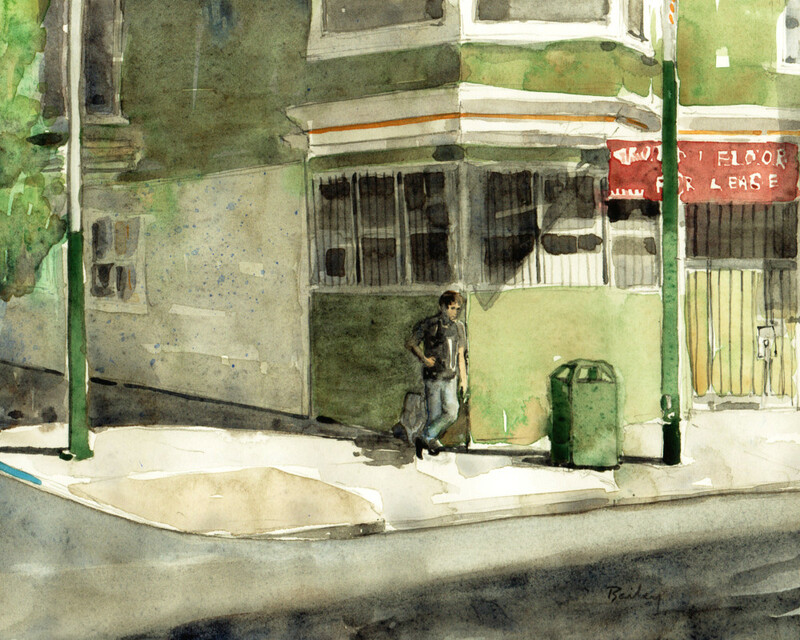 I find myself drawn to this neighborhood over and over again. It has a feeling to it that’s hard to describe. The hippies, artists, and musicians of the 60’s have mostly moved away but there is still a feeling that something important happened here and is, maybe, still happening. Artistic types and free spirits still wander along Haight Street and give off a strange vibration that they are a part of something or maybe they’re up to something. 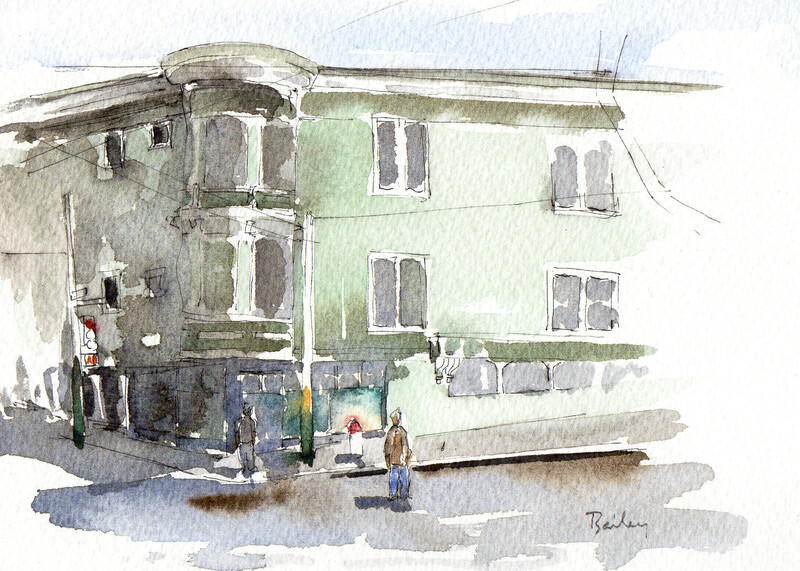 Over and over, I walk along and turn the corner, drawn to the tree lined streets adjacent to Haight, and I feel something for the buildings and the sidewalks. I feel like so much cultural history, art, and music came from people living behind these walls. And it’s still alive, extending out into an unknown and unpredictable future. 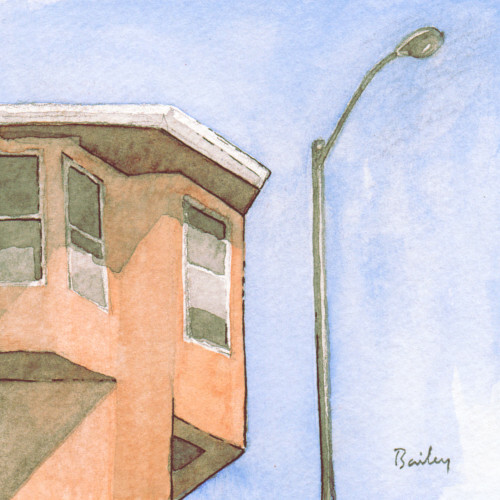 I’m going to keep making drawings and paintings of those streets and houses, so please check them out and let me know what you think.